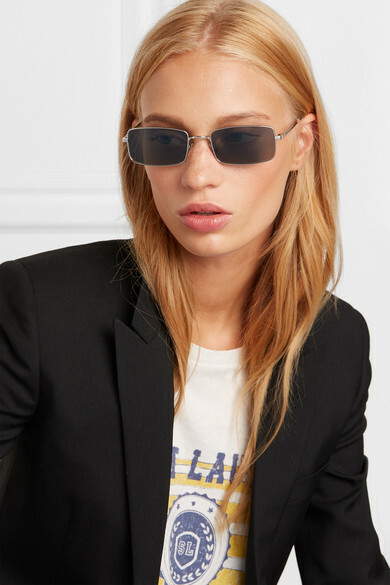 The latest street style photos show that '90s sunglasses are here to stay and this Saint Laurent pair is perfect for tapping into the trend. 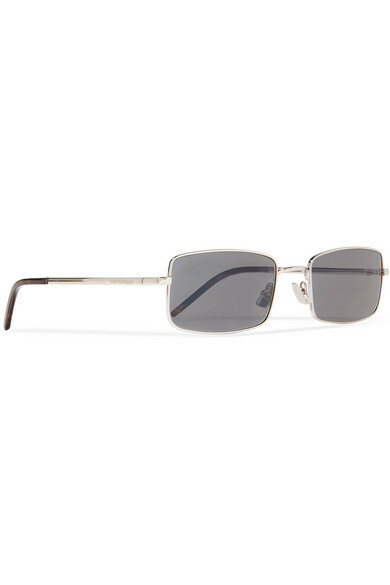 Crafted from sleek silver-tone metal with a narrow rectangular shape, they're finished with a subtle embossed logo at the temples. 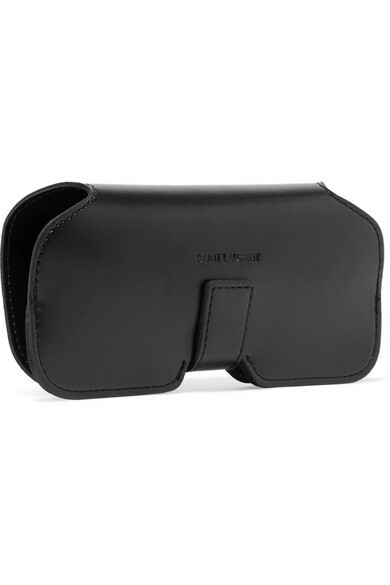 Slip yours into the branded leather case to keep them protected. Shown here with: Saint Laurent T-shirt, Saint Laurent Blazer, Saint Laurent Jeans, Saint Laurent Shoulder bag, Saint Laurent Ankle boots.